Does an Apple Watch Count as a Hand-Held Device? A University of Guelph Student Learn the Hard Way! An Ontario student was penalizeded for looking at her Apple Watch while driving. Victoria Ambrose, a University of Guelph student, claimed that she was taking a look at the time on her Apple Watch when she was stopped in April while driving to class. Following the May 16th hearing, Justice of the Peace Lloyd Phillipps delivered his judgment, fining Ambrose $400. "Despite the Apple watch being smaller than a cellular phone, on the evidence it is a communication device capable of receiving and transmitting electronic data," Phillipps said. "While attached to the defendant's wrist it is no less a source of distraction than a cell phone taped to someone's wrist. It requires the driver to change their body position and operate it by touch." Ambrose was charged with driving while holding a hand-held communication device under the Highway Traffic Act. 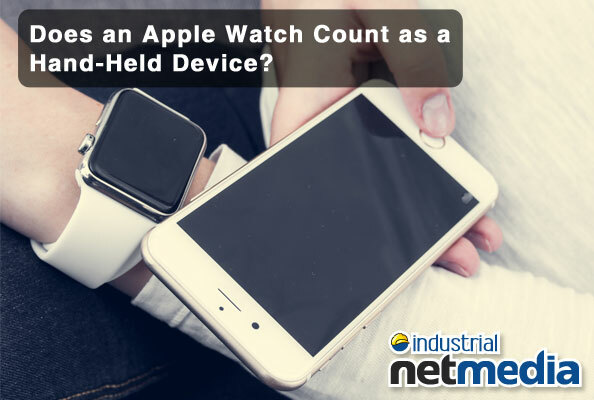 While Ambrose and also the prosecution settled on the details of the occurrence that took place on April 24, what they fought over was whether or not an Apple Watch is in fact a hand-held device. "The evidence before me is that an Apple watch is capable of receiving and transmitting electronic data. Ms. Ambrose testified that the watch was not connected to her phone which was in the car with her at the time," said the Judge. "It is abundantly clear from the evidence that Ms. Ambrose was distracted when the officer made his observations." "Whether it was actually connected to another device at the time of the offence is not a determining factor. It is the holding, or use of the device that the court must determine." Ambrose has 90 days to pay her penalty.